The lemon supplied vitamin C; sweetened with honey, it made a very nice lemonade. I knew people who added ginger to that mix. Fresh ginger would add a bit of spicy heat, and has a long folk tradition of fighting colds and flu and of aiding the appetite. 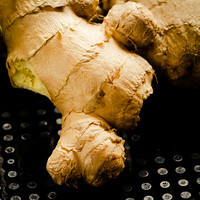 I think my mom didn’t like fresh ginger — I don’t recall eating it in my youth, not once. We stuck with the lemon and honey, and maybe some nice, cold Canada Dry ginger ale. Then I got old enough for whiskey. That was the end of lemon and honey. I’m always happy to self-prescribe a little Scotch or bourbon when I’m under the weather. And no, I don’t believe it’s really a cure for my colds, or my flu, or my sore back. Like the straight honey of my youth, it’s an uplifting indulgence that always makes me feel happier, if not healthier. But there was a time — not so very long ago — when whiskey was a generally accepted cure, a respected part of the medical doctor’s bag of remedies. Whiskey’s power to cure was medical tradition, and in a hidebound industry, tradition counts for a lot. Change was slow, but by the end of the nineteenth century whiskey’s cure-all reputation was being doubted in some circles, and its use increasingly deprecated. Nonetheless, administering whiskey remained part of common medical practice through Prohibition and the first half of the twentieth century. I still remember my father’s astonished amusement with his tee-totaling mother taking her doctor-prescribed nightly tot to soothe her nerves after my grandfather died in the 1960s. Apparently it worked. Both whiskey and brandy were generally accepted medicine for colds and flu (or “the grippe,” as it was known then). There were plenty of mountebanks, often the distillers themselves, who made claims that must have seemed astonishing even in the eighteenth and nineteenth centuries. Some believed whiskey would cure cancer. Some claimed it could cure everything. Cures Malaria. Price One Dollar Per Bottle. Sold by Druggists, Grocers and Dealers. Apparently, Baltimore’s citizenry was not as gullible as Duffy hoped. He went bankrupt the next year and moved back to New York. There was, though, a widespread belief in the idea that whiskey had certain cure-all attributes. Whiskey labels admonished that the contents were “bottled expressly for Family and Medicinal Use,” and there was widespread acceptance of the idea that whiskey should be included in every family’s medicine cabinet. But some in the medical profession were troubled, and with time the industry apparently developed grave doubts that whiskey was a successful medicine. By the beginning of the twentieth century the AMA was already recommending against prescribing it. Their tone changed as Prohibition rolled around and the government began to regulate what doctors could prescribe for their patients; the Hippocratic Oath became more like the Hypocritical Oath, as the profession lobbied to assure a loophole in the Volstead Act that allowed them to retain a hold on the profits they could gain from writing whiskey prescriptions. Predictably, after Repeal the AMA again deprecated whiskey. Lemon, honey, ginger, and good old traditional whiskey. It’s quite a collection of home remedies. No one believes they actually cure anything, but everyone agrees that they ameliorate symptoms, make you feel like you’re doing something about your sorry lot, and offer a little psychological pick-me-up while you suffer your cold or flu. So why not combine them all together? That’s exactly what Australian bartender Sam Ross did in 2005 while he was working at the now-closed Milk & Honey in Manhattan. The way Ross tells it, Compass Box was starting to promote their line of blended Scotch on the East Coast, and Ross was trying to figure out how to make use of it. His experimentation led to the Penicillin Cocktail, a honey-sweetened whiskey sour that seems inspired by another Milk & Honey original from the same era, T. J. Siegal’s bourbon, lemon, and honey Gold Rush—substitute Scotch, add the hallmark ginger, and the rest is history. Cut the ginger into thin coins and muddle well in the mixing tin. Add blended whisky, honey syrup, and lemon juice, and shake well with ice. Add a large piece of ice to a rocks glass and double strain the mixture over the ice. Pour the smoky whisky over the back of a bar spoon to float it on top of the drink. Garnish with candied ginger. Ross used a ginger-honey syrup in his original Penicillin; that makes sense for a bar making a lot of these drinks in a short time, but ginger juice doesn’t keep its bright taste for long, so it’s wasteful for the home bartender. Muddling for each drink is slower and messier, but if you’re only making one or two Penicillins at a time that approach gives a much fresher ginger flavor than a syrup left over from yesterday. The garnish for the Penicillin is a chunk or strip of candied ginger. It’s pretty easy to make your own, but you may be able to buy large enough pieces at your grocery. Absent candied ginger, a good lemon twist is an appropriate substitute. The honey is the wild card in this formula — so many regions, so many flavors. Ginger and Scotch whisky aren’t shy, and can stand up to strongly flavored honeys; I recommend that you find an assertive regional honey to give your Penicillin the local touch. There truly is something medicinal in the Penicillin’s flavor. The Scotch, the peat, the ginger and lemon, all working together. The nose is all smoky peat, with a little hint of lemon and honey. If the lemon and honey are balanced, the first sip is a hit of their sweet-and-sour, with the honey’s flavor tones coming through, but neither sensation dominating. Then the there’s a rush of ginger across the sides of the tongue. That fades a bit, and the blended Scotch finally appears as you swallow. Finally, there’s a long aftertaste of the whiskey and, longest of all, the warming ginger. I’ve written often that Scotch is not the friendliest of spirits for cocktails, and the dry, peaty Islay Scotches are the spikiest of the lot. That said, I rank the Penicillin Cocktail as the most approachable and most drinkable of all the Scotch cocktails I’ve encountered. The flavor combination adds up to more than the sum of its parts, and has put the Penicillin on track to become one of the cocktail world’s classics—probably the first of the twenty-first century’s cocktails to reach that status. And that means it is becoming, or has already become, part of the regular canon of drinks that most bartenders know and serve, whether it’s on the drinks menu or not. It’s an everyday drink, and you don’t have to wait until you have a cold to indulge. You’ll want one then, too, of course, but don’t forget about straight honey. And have a bowl of chicken soup. “Home Remedies and the Penicillin Cocktail” at cold-glass.com : All text and photos © 2018 Douglas M. Ford. All rights reserved. Sounds delicious. Also sounds like something that would work hot, perhaps? Never tried that. Sort of a “hot toddy” thing. Might be an interesting variation. You’re welcome, Paul — and thanks to Sam Ross. This sounds like a marvelous winter cocktail. I have a bottle of Macallan 12 year Scotch that I, like you, use to self-medicate when feeling a bit under the weather. I don’t like to use it in hot toddies, for the very reason you mention about the peaty, spiky flavor, but generally, a shot of Maker’s Mark in a cupful of hot Earl Grey tea with some honey and lemon make a great “medicinal” drink. :) Lovely post,as always. Maker’s Mark in a cup of tea sounds great. I’ll have to try it with Earl Grey, because I like Earl Grey. I still love, say, Laphroaig and Ardbeg, but to me Talisker has an agreeableness to it that makes me want to drink it, while still definitely being smoky and individual. I’m not scared of putting it in anything. I agree, the Laphroaig might come across as a bit in-your-face in a hot drink. Talisker, good choice. Which reminds me, not of tea, but of Maker’s and ginger ale, a fine version of a bourbon-and-ginger highball that was apparently the favored drink of my Dad’s unit in WWII. One of those things I learned during the conversations that came up back in 1995, when so many families were contemplating the 50th anniversary of the end of that war. Honey? I cannot taste it without thinking of Doug’s marvelous mother and of her introducing me to peanut butter and honey sandwiches. Ah, those were the days. Thanks, Bruce, for the remembrance. When my great-grandmother was feeling under the weather she would make a glass of warm lemonade and hook herself up to a strange cure-all medical device called the Ferater (not sure how it is spelled), which is a very sciency looking metal cylinder with wires that you’d attach to your extremities. Apparently the combination of the two made her feel better, perhaps a double placebo effect. This is a great cocktail, I can’t wait to try it. My grandfather use to boil three cinnamon sticks and a star anise like a tea, then right before he’d drink it he’d add two shots of tequila or rum and a teaspoon of honey. He swears this would help with colds, as kids he’d make it for us, with less alcohol of course until my mom told him to omit the liquor, lol. Star anise, an interesting addition to the mix. Good story, thanks.